Free sequence capture control for Mac/PC + lots of DSLRs. performs Lucy-Richardson deconvolution, unsharp masking, brightness normalization and tone curve adjustment. free software that lets you input your coordinates and will show you when objects will be up and at what time. 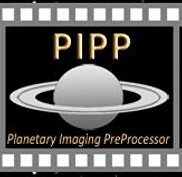 A piece of software that is meant to be used to process images from MicroObservatory.org, it's not really good for much else, but it does a damned good job of teaching people the basics of processing RGB FITS data. HLVG is a chromatic noise reduction tool that attempts to remove green noise and the green casts such noise may cause in some images. The software that comes with sBig CCD cameras also available separately.